From the lush alpine meadows shimmering with flowers to the idyllic mountain lakes and the bewitching glaciers of the Bernina massif, the sun-blessed Engadin is a delight to discover in summer. The views of the Alpine peaks all around and of the chain of lakes along the valley floor are unforgettably breathtaking. Their unique combination of narrow ridges, lofty peaks and iridescent blue mountain lakes is quite staggering. Hiking in the Engadin never fails to be a spectacular experience – and not just for professional mountain trekkers. The first in central Europe: the Swiss National Park in the Engadin. 400 kilometres of mountainbiking bliss: the well-signed Engadin bike routes show you the way. It is not just Maloja, the picturesque village with the coveted "Families welcome" quality seal, that finds favour among parents and children. 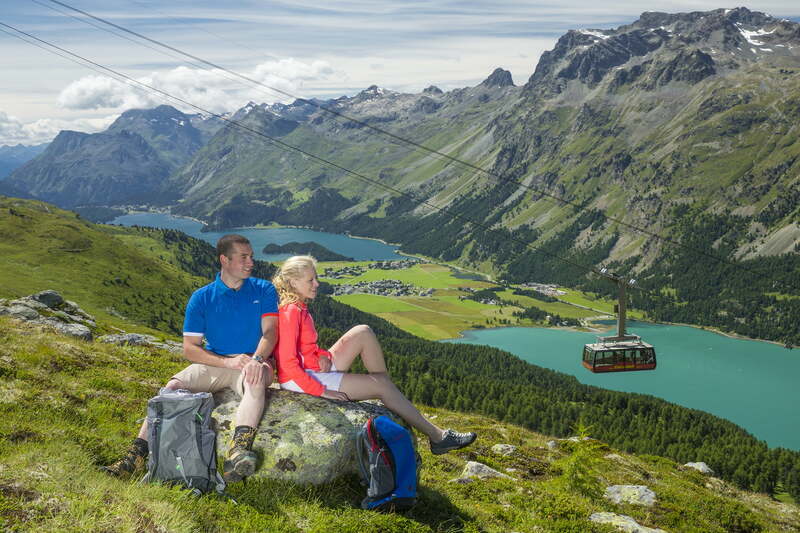 Engadin St. Moritz offers everything for an unforgettable holiday. Let yourself be inspired by the variety and contrasts of this beautiful region. This route will lead you 1000 miles through four language regions, over five Alpine passes, to eleven UNESCO World Heritage Sites as well as two biospheres and along 22 lakes. The Bernina region located between Morteratsch and Cavaglia has always stood out for its breathtaking beauty. The Engadin St. Moritz region is regularly hosting exciting, world-class sporting and cultural events.